Jared was raised in New Hampshire. A wild child with an old soul, he was fortunate to grow up with a large surrounding of amazing friends and family. Everyone supported and embraced his energy and, at time, mischievous behavior and encouraged him to go in the direction of his dreams. Always finding things to start (and eventually finish,) Jared developed an interest in building and excelled in his wood shop classes. He graduated from Pinkerton Academy and was off to Portland Maine to begin his college career in carpentry, construction, contracting and business management. While enrolled at Southern Maine Community College Jared moved into an apartment community Erin was managing/leasing at the time. They became indirect neighbors and friends from the start. He came back to Maine to complete more schooling at the University of Southern Maine and Jared and Erin eventually moved in together. The two of them lived in Maine for a couple of years before deciding to move their careers to New Hampshire, a few towns away from where Jared grew up. Now, owning his own farm in New Hampshire, Jared enjoys building anything and everything that requires wood. He is the proud owner of Red Fox Carpentry, his first personal business endeavor. Jared als o enjoys riding dirt bikes, spending time on the lake with his fishing boat, hiking, camping and spending time with his friends and family. 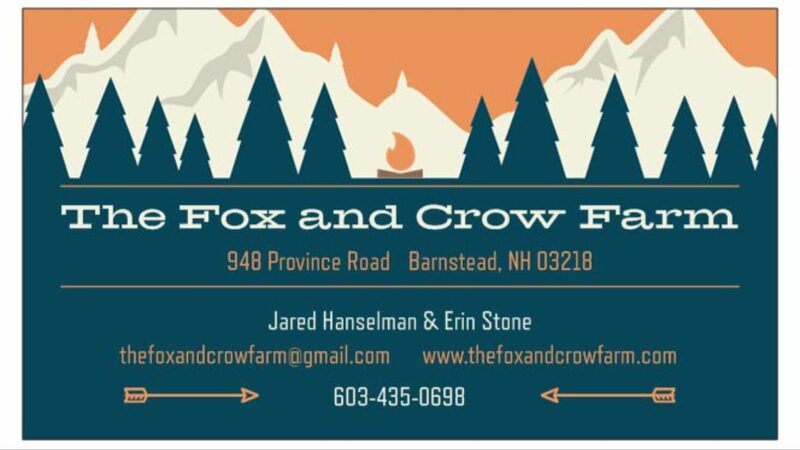 Both Erin and Jared have been working on gutting and refinishing their new home in New Hampshire and building a lasting farm together.